Spring is almost here (and so are midterms). 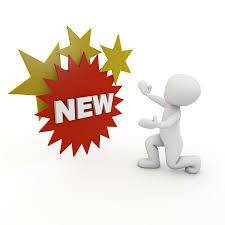 What's new at the library? The library has laptops available for you to use! Need to write a paper but the computer labs are too full? Want to sit in a comfy chair by your favorite window? Go to the IT Help Desk on the ground floor with your student ID and ask to check out a laptop. Laptops have to stay in the library building, but otherwise they're yours to use! If you never venture upstairs, we'd highly encourage it - there is a rotating display of materials across from the library circulation desk on the first floor of the JSML. Does anyone still use Redbox for DVDs? 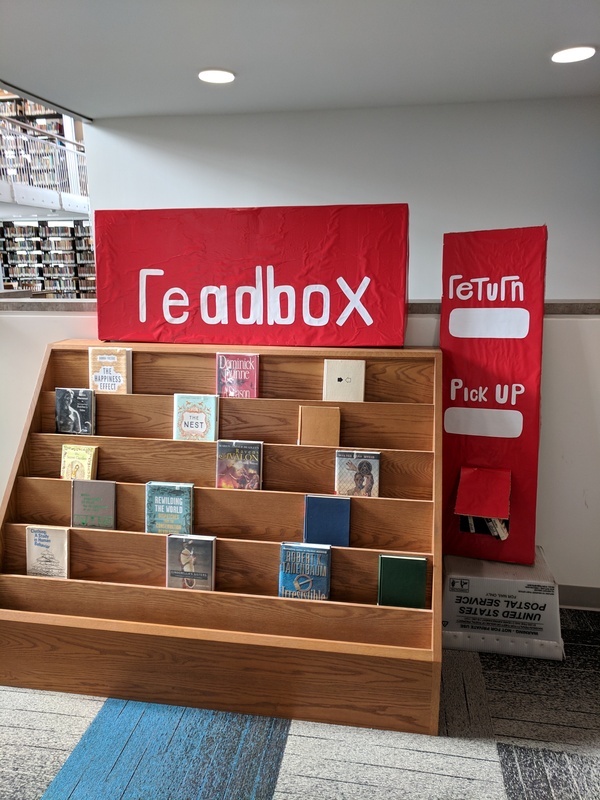 Well the library is sort of like "Readbox" for books - except they're free! Come check us out. These hours are for May. Hours will change in June. IT Helpdesk is on the ground floor of the library. The library is closed April 19, 20, and 21.